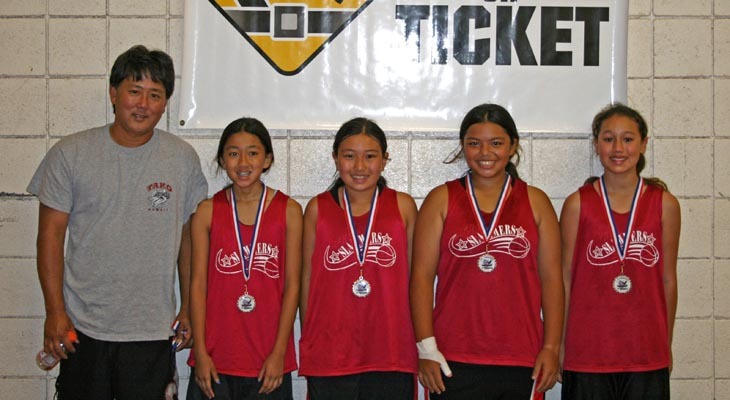 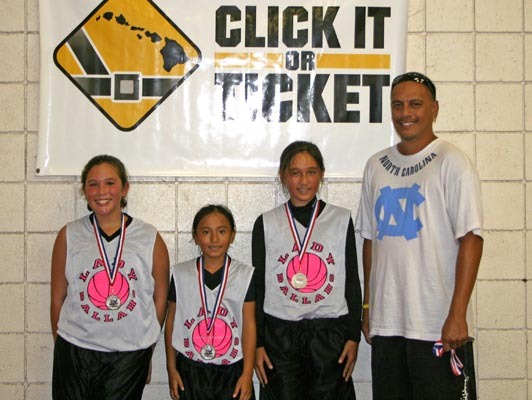 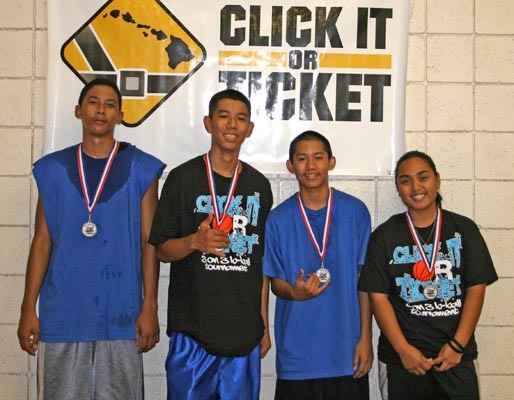 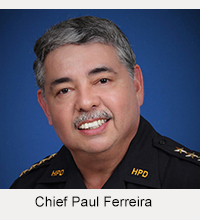 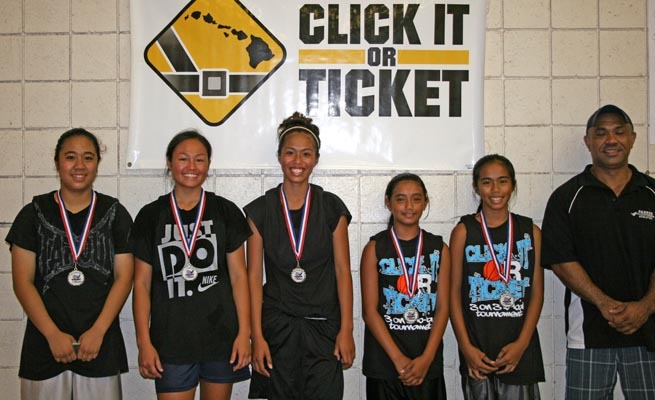 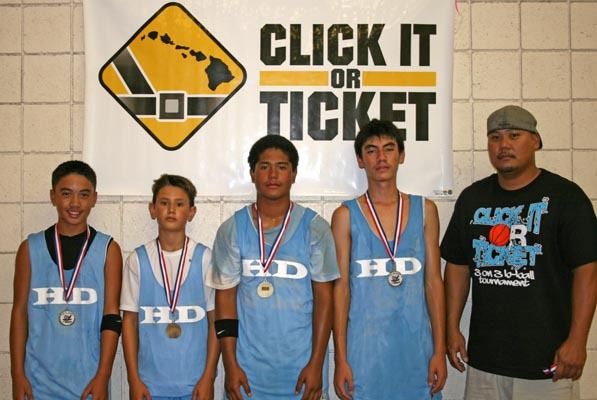 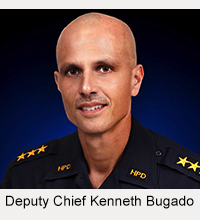 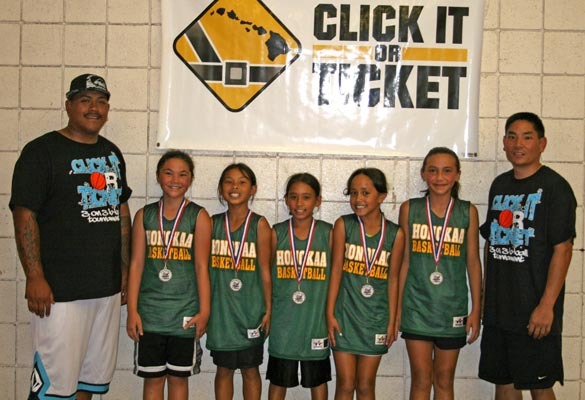 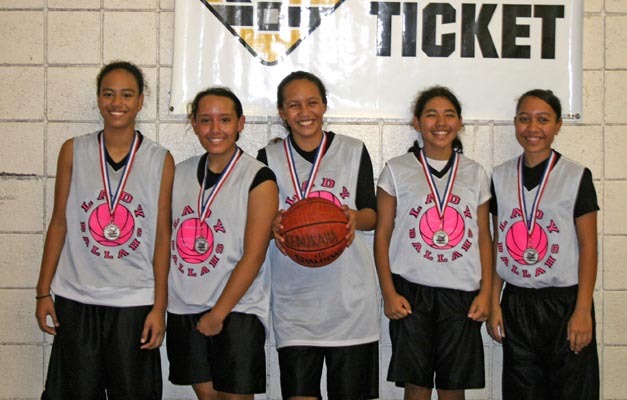 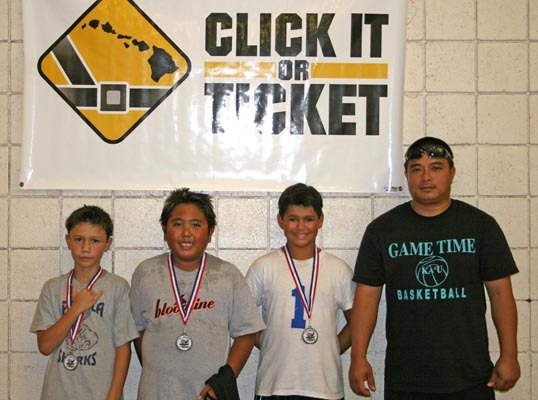 The Hawai’i Police Department’s Traffic Services Section and the Hawai’i Isle Police Activities Leauge (HI-PAL) held the third of four “Click It or Ticket” 3-on-3 basketball tournaments on July 11-12 at the Honoka’a Sports Complex gymnasium. 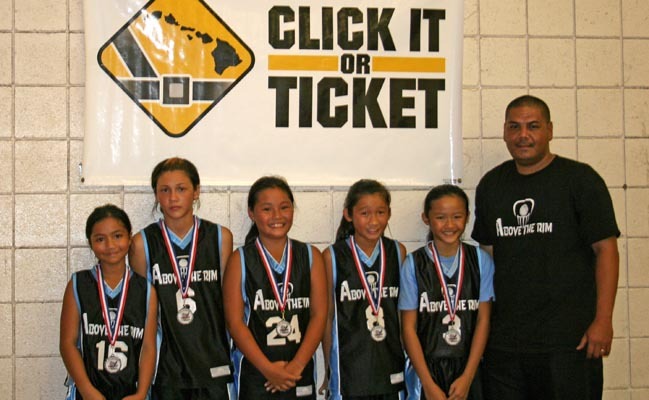 Thirty-two teams entered in the following age groups: 5-6, 7-8, 9-10, 11-12, 13-14, 15-17, girls 10 and under, girls 12 and under, girls 14 and under, and girls 15-17. 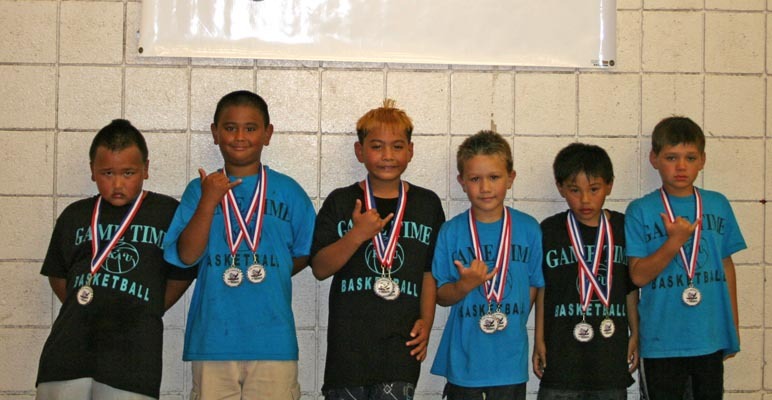 The medal winners are identified below. 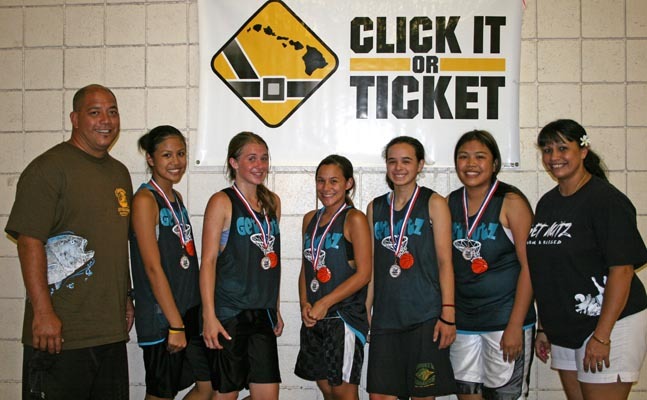 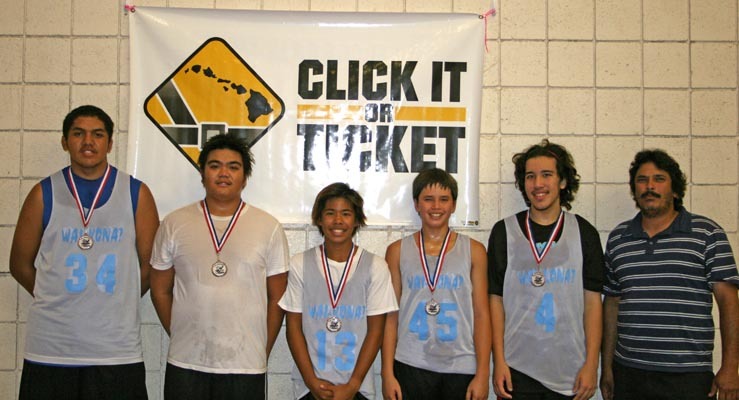 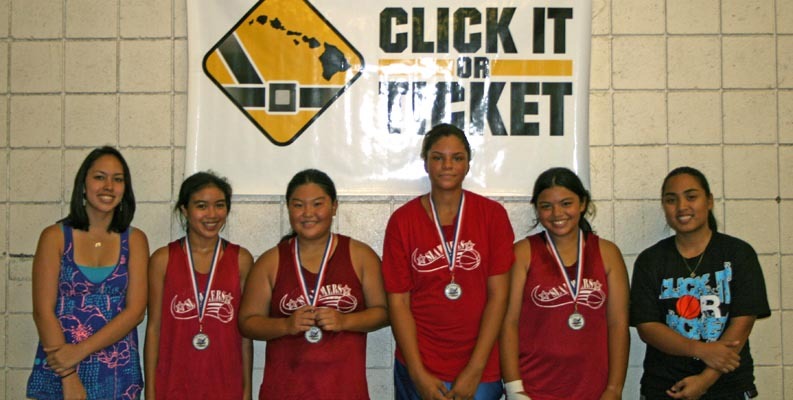 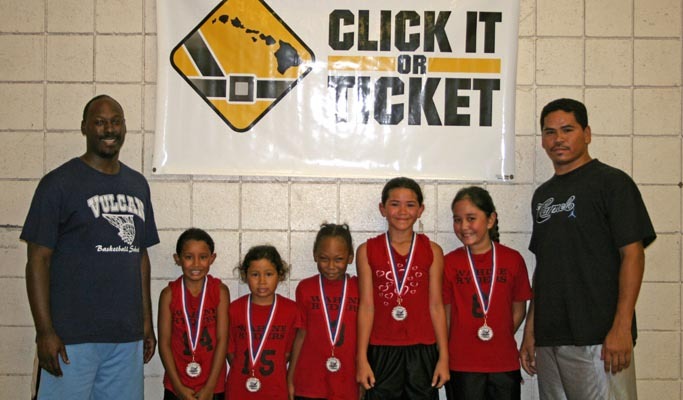 The next scheduled “Click It or Ticket” 3-on-3 basketball tournaments will be on August 14-16 at Kawananakoa Hall gymnasium in Keaukaha. 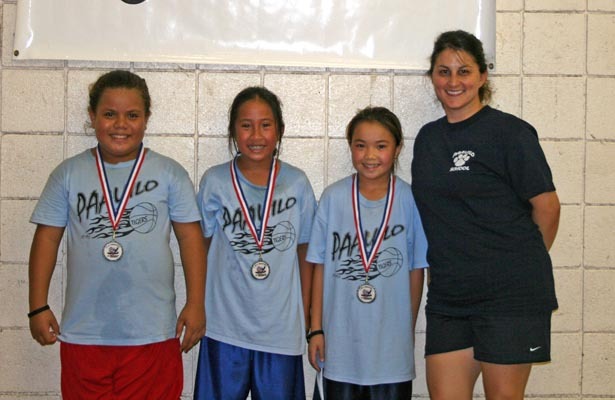 For information about future HI-PAL activities, please call the HI-PAL office in Hilo at 961-2220 or 896-9710. 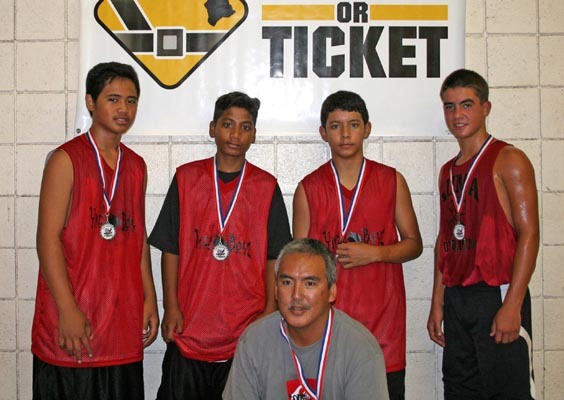 The fax number is 961-2209. 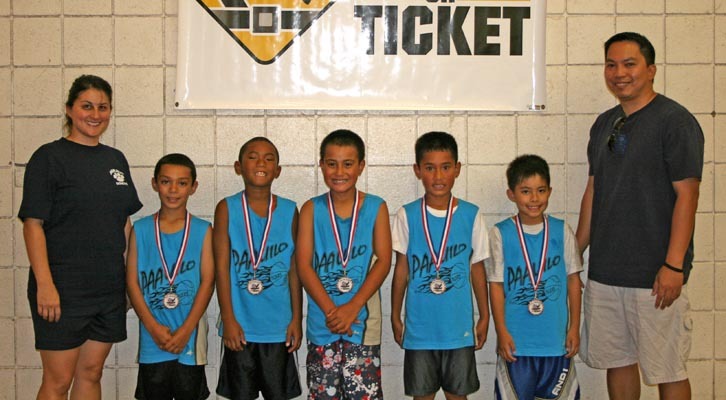 Kazu Tolentino, Hao Correa Kapena Esquerra, Kapono Ho’okahi, Coach Kapanai’a Carvalho Johnathan Viernes, Dustin Sakoda, Chris Mendoza, Coach Jackie G. Kanoa Santiago, Josh Li, Christian Castro, Keni Souza, Zachariah Hanato, Coach Keni Souza Jr.
Namele Naipo-Arsiga, Kaily Harris, Aliya Pana, Amber Vaughn, Maedina Ongais-Kilaulani, (not pictured–Coach Ben Pana) Coach Kacie Shirai, Vanessa Ignacio, Zena Muranaka, Bosilka Nash, Ashlie Santiago, Coach Jackie Ganiron Coach Alfred Berdon, Keana Kaohimaunu, Shemika Frazier, Shaelyn Matsuoka, Jasmine Castro, Coach Kevin Yamasaki.